It is pretty hard to kiss goodbye to hot summer days and get ready for fall and winter. We can do nothing but make fall days brighter and joyful with brand new haircut and hair color. If you do not want to change your haircut you can skip this step and update your look with totally new hair color. What can make you look more seductive and eye catching than warm hair color? If you still doubt whether it is worth to change hair color or not just take a sneak peek at this palette of warm colors. 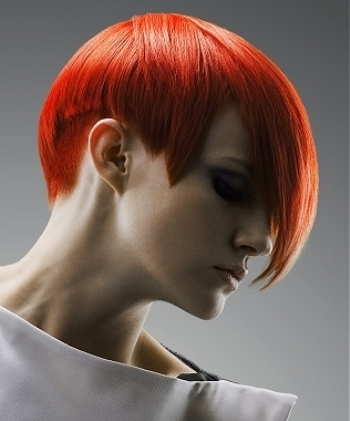 Wide palette of innovative hair colors includes so many options for ladies who do not shy away from dramatic changes. 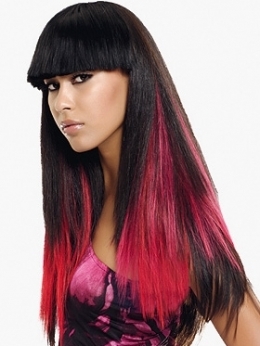 Can you pull of bright and bloody red or ebony black with pink or purple highlights? If so, you can find zillion color combos that will make you stand out from the rest of the crowd. What is trendy this fall? All shades of warm brown from light to dark chocolate and brunette are on trend. Darker colors like black and shades of black like black brown and black cherry are also great options for the lovers of vampy looks. If you think that such dark hair color will not be suitable, you can mix it with lighter highlights like dark blonde and red. All bright shades red are on trend and I must say that this color will never go out of the fashion. This is the best way to transform your look but be very careful because red hair color is very capricious and needs special care.